We want you to make the most out of your visit to Dalton Park, so we’ve put together some essential tools to ensure you don’t miss out. Find your favourite stores with our downloadable centre map, find out how to get to us, clue up on the centre by reading our FAQs or check out the Customer Services for an overview of the centre. 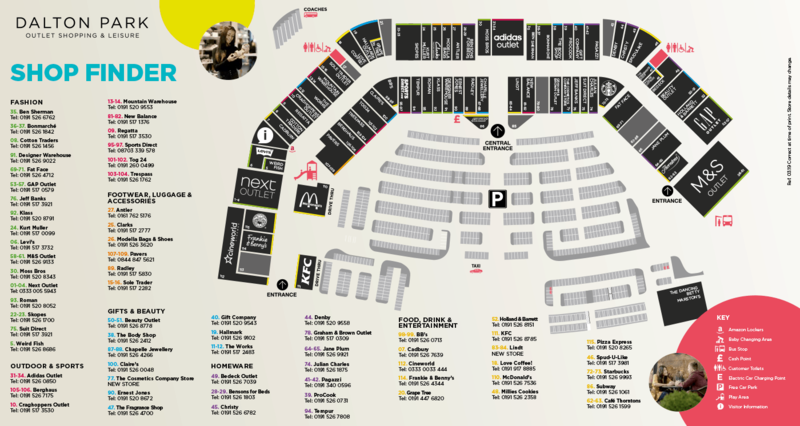 Download our centre map here.